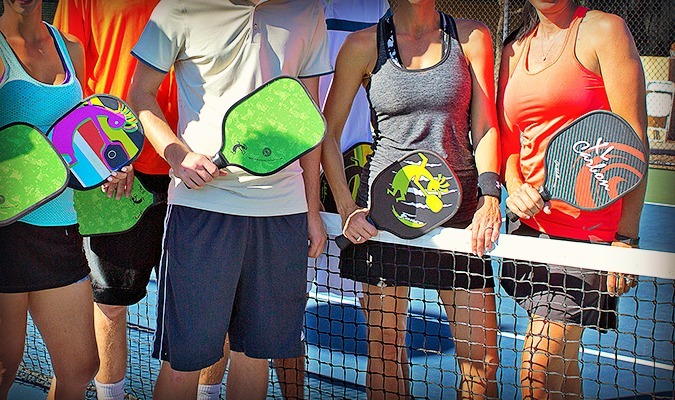 Pickleball is a game that is gaining traction in the US sports world, as courts and playgrounds are being converted in order to comply with Pickleball court rules and younger generations are picking up paddles in their gym classes. What began as a makeshift badminton game has blown up into a genuine sport with professional players vying for a spot in the top bracket of Pickleball tournaments! We’ve collected some of the most exciting Pickleball moments captured on video! Watch an amazing around-the-post shot in slo-mo during a Pickleball tournament! Watch these Pickleball titans battle it out with mind-boggling talent! Watch this exciting mixed doubles game in the middle of the action! Watch this gold medal match right from the court! Watch this tiebreaking gold medal singles match!